I think the author really missed the chance to write what could have been a really interesting book about the woman who's mind saw the "future" in the technology that affects our everyday lives - cell phones. I was hoping for a well written telling of Hedy Lamarr's mind, personality and life that led to her scientific writings & inventions. But sadly the author spent more time writing about Lamarr's looks, clothing, jewels and homes and how she thought her mother didn't love her, her husbands not knowing & loving her for her mind not body. It took more than half the book to finally get to how science and technology were important to Lamarr. And then to contribute as the reason for her invention was Lamarr's guilt and need for penitence. Seriously?? Also, the author's treatment of George Antheil, as just a sidekick to Lamarr's inventions - it is insulting to him. The author's note was more interesting than the whole book. 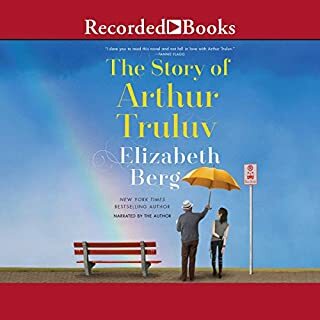 I have enjoyed listening to Suzanne Toren's narration of other titles. But for this title - I just didn't like her interpretation. 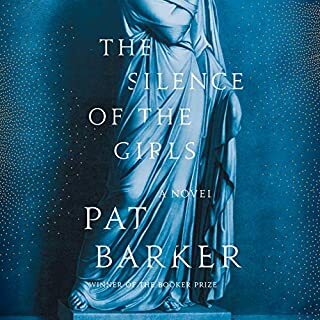 Maybe if the narrator had been different I would have liked this book better OR if the book had been better I would have liked Toren. Enjoyed listening to this version of the story of the fall of Troy. It was interesting to hear the women of Troy's side of the story. I didn't care as much for Part II when Achilles is telling his side of the story (although the narrator did a good job). I much preferred hearing Briseis' story. Really liked Kristin Atherton's narration. Good historical fiction told from a different point of view. I wish authors would not think just because they can write a good story/book, they can read aloud well. 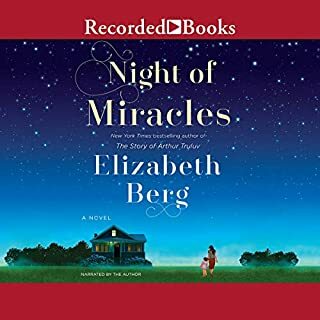 I like Elizabeth Berg's writing and have read most of her books - this was another good one. But I do NOT like her as a narrator. There is something in her voice that I find irritating. Also, she is a bit boring - lacks emotion or inflection. The characters are good and their growth and change interesting. The progression of the events is nice, with just enough twists and turns to keep you wanting to know what they are going to do next. SpoilerAlert: I loved the email exchange between Iris and her ex-husband. Very thoughtful and touching. Very well researched and written by Russell. She doesn't get bogged down in flowery over descriptive writing and yet you feel so much emotion and connection to the characters and story. 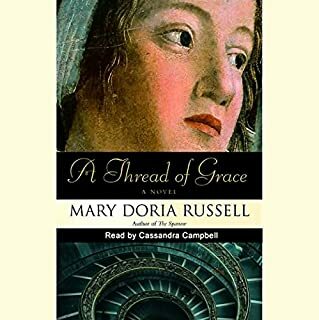 Cassandra Campbell once again delivers an excellent narration for all characters - female & male, young & old, no matter the accent. 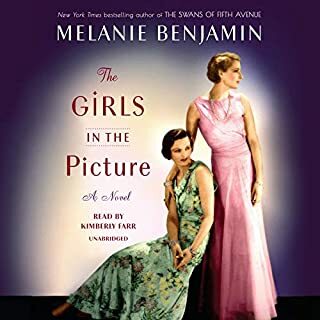 When she arrives at the famed Barbizon Hotel in 1952, secretarial school enrollment in hand, Darby McLaughlin is everything her modeling agency hall mates aren't: plain, self-conscious, homesick, and utterly convinced she doesn't belong - a notion the models do nothing to disabuse. 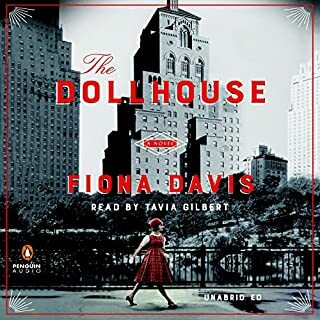 Yet when Darby befriends Esme, a Barbizon maid, she's introduced to an entirely new side of New York City: seedy downtown jazz clubs where the music is as addictive as the heroin that's used there, the startling sounds of bebop, and even the possibility of romance. Easy listen. The narrator did a pretty good job with the different character voices, especially the accent for Esme. But often the delivery seemed overly dramatic, a bit too "soap opera-y". The story itself was entertaining, if not again a little bit like a soap opera. But it kept my attention the whole way through, so I guess it wasn't too - too much. Story was fairly good. The love story between Noa & Luc seemed a bit contrived. 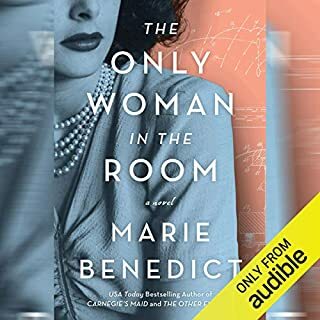 I was disappointed that the author's not was not included in the Audible version. 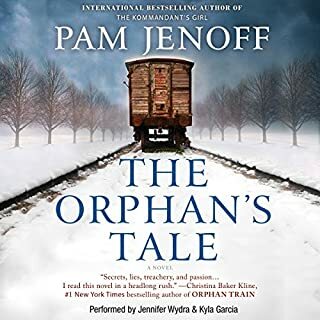 I read on Goodreads that Jenoff's note was interesting and added to the story. I have enjoyed other books written by Melanie Benjamin more than this title. It is not very well written - overly dramatic and sappy. I have also listened to other titles narrated by Kimberly Farr - and have enjoyed her interpretation of those titles. This time - not so much. Again the phrase "overly dramatic" says it best. I finished this title because I was interested in the subject and main characters. Although I did roll my eyes at the writing & narration - I enjoyed hearing about (even in a fictional way) the actors, writers and others who were there when the movies began. Often times when an author reads their own book, well.. it just doesn't work. But this time Elizabeth Berg does a very nice job reading her story. She put the right emotions and inflections in each character's voice. Berg's reading made this simple story very enjoyable. It is what we librarians like to call "A gentle read". I recommend this to those wanting a nice, easy, gentle read that will bring a tear to your eye in the end. If you could sum up We Were the Lucky Ones in three words, what would they be? Hope, Courage and of course, Luck. 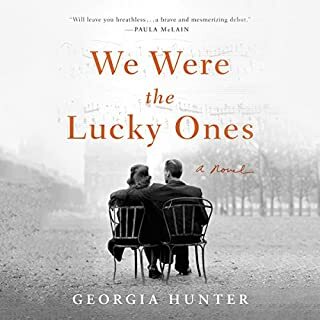 What other book might you compare We Were the Lucky Ones to and why? I hate to compare books. But if you have read books such All the Light we Can See, Anna and the Swallow Man and Salt to the Sea - you will want to read this book. What about Kathleen Gati and Robert Fass ’s performance did you like? Kathleen Gati reads the actual story and does a wonderful job. Her pacing and expression was spot on. It was easy to get lost in the story but not so compelling as listening to all in one sitting. 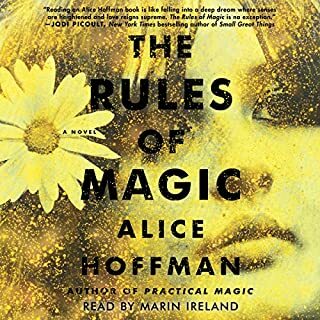 Alice Hoffman again writes an interesting and fanciful tale of love, life, sadness and magic.